Islamic Art in the Museum today: An Opportunity? 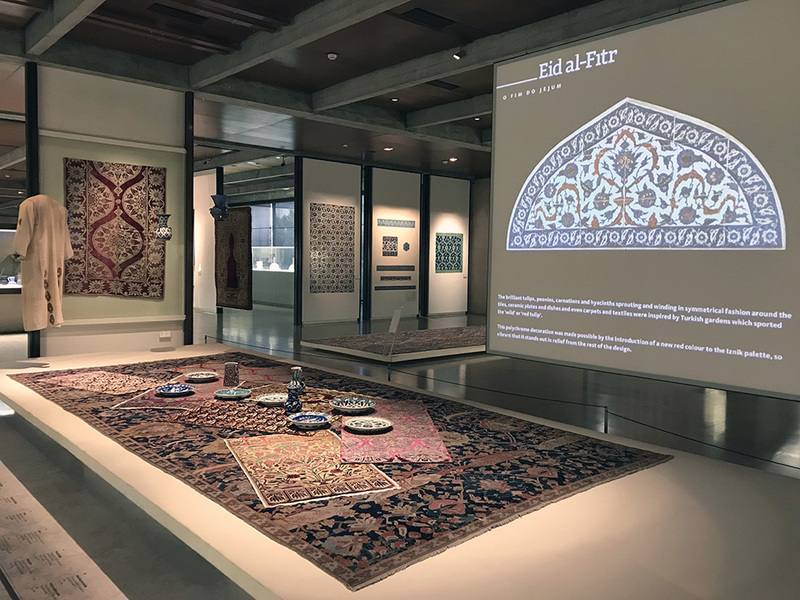 is the second of the debates organized around the two interventions in the Founder’s Collection-Gallery of Islamic Art of the Calouste Gulbenkian Museum. This debate coincides with a new staging of works of art from the superb Ottoman collection of the museum marking the great celebration at the end of Ramadan, the month of fasting holy to Muslims worldwide. Eid al-Fitr, breaking the fast, from 23 June to 17 July, imagines such festivities in an Ottoman domestic context. The Islamic Art in the Museum today: An Opportunity? brings together academics and museum professionals to expand the parameters of the debate and to explore opportunities latent in re-thinking notions of ‘Islamic’, the oft-uneasy connections between modern and contemporary arts, and the historical collecting and exhibiting practices in European and North American museums. Avinoam Shalem is the Riggio Professor of the arts of Islam at the Columbia University in the city of New York. Prior to his appointment, Shalem held the professorship of the history of the arts of Islam at the University of Munich. He was Andrew Mellon Senior Fellow at the Metropolitan Museum of Art in New York in 2006, Guest Scholar at the Getty Research Center in 2009; and Lester K. Little Scholar in Residence at the American Academy in Rome in 2016. Between 2007 – 2015, he held the Max-Planck Associate Fellow at the Kunsthistorisches Institut in Florence. His main field of interest is in medieval artistic interactions in the Mediterranean basin, medieval aesthetic and the historiography of the field of art history. He has published over 100 articles in academic magazines and books and is the author of several books. Among his recent publications: The Image of the Prophet between Ideal and Ideology: A Scholarly Investigation (with Christiane J. Gruber): Die mittelalterliche Olifante (2 vols); and Gazing Otherwise: Modalities of Seeing In and Beyond the Lands of Islam (with Olga Bush). He co-curated the exhibition The Future of Tradition: The Tradition of Future in Haus der Kunst, Munich (2010) and is currently directing the research projects When Nature Becomes Ideology: Palestine after 1947. Çiğdem Kafescioğlu is professor and chairperson at the Department of History at Boğaziçi University in Istanbul. 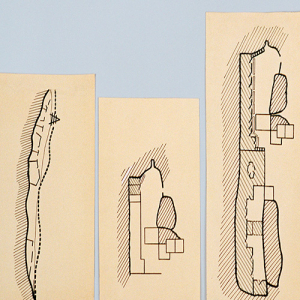 She works on the urban, architectural, and visual culture of the early modern Ottoman world. She has contributed chapters and articles to a number of books and journals, and is the author of Constantinopolis/Istanbul: Cultural Encounter, Imperial Vision, and the Construction of the Ottoman Capital (2009), which won the Spiro Kostof Award of the Society of Architectural Historians. She has held scholarships from the Giles Whiting Foundation, the Aga Khan Program for Islamic Art and Architecture, the Getty Foundation, and the Radcliffe Institute for Advanced Study at Harvard University. Sussan Babaie is the Andrew W. Mellon Reader in the Arts of Iran and Islam at The Courtauld Institute of Art, University of London. Her research and teaching focuses on the early modern period in Persianate West and Central Asia. She also writes and lectures on contemporary arts of Iran and the Middle East. She is the author of the award-winning Isfahan and Its Palaces: Statecraft, Shi‘ism and the Architecture of Conviviality in Early Modern Iran (2008), and the co-author of Persian Drawings in the Metropolitan Museum of Art (1989), Slaves of the Shah: New Elites of Safavid Iran (2004), Shirin Neshat (2013), Persian Kingship and Architecture: Strategies of Power in Iran from the Achaemenids to the Pahlavis (2014), and Honar – The Afkhami Collection of Modern and Contemporary Iranian Art (2017). Her research has been supported by the National Endowment for the Humanities (United States), the Fulbright (for Egypt and Syria) and the Getty Research Institute in Los Angeles.